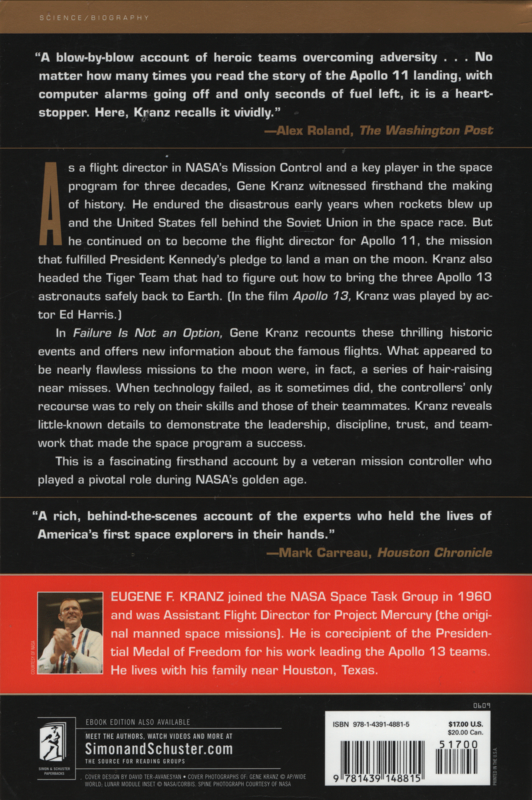 Kranz recounts these thrilling historic events and offers new information about the famous flights. What appeared as nearly flawless missions to the Moon were, in fact, a series of hair-raising near misses. When the space technology failed, as it sometimes did, the controllers' only recourse was to rely on their skills and those of their teammates. He reveals behind-the-scenes details to demonstrate the leadership, discipline, trust, and teamwork that made the space program a success. 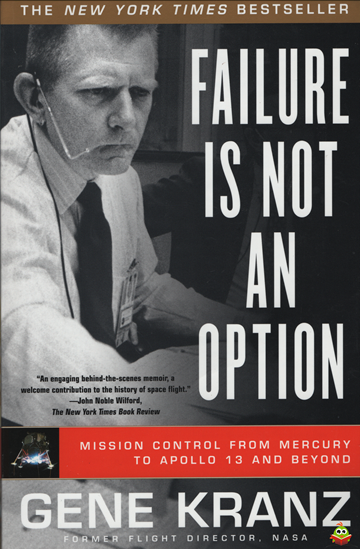 A fascinating firsthand account by a veteran mission controller of one of America's greatest achievements, Failure is Not an Option reflects on what has happened to the space program and offers his own bold suggestions about what we ought to be doing in space now. Lichte leessporen. Er is niet in geschreven, wel 2 ezelsoren in gevouwen. Geen breuklijn op de rug. Gekneusde kaftpuntjes.